Like all natural wonders, the Aurora Borealis is hard to predict, but unsurpassed in beauty. In Alaska, the pristine wilderness is a perfect backdrop for this celestial display. Though the aurora technically occurs year round, it isn’t always visible to the human eye. 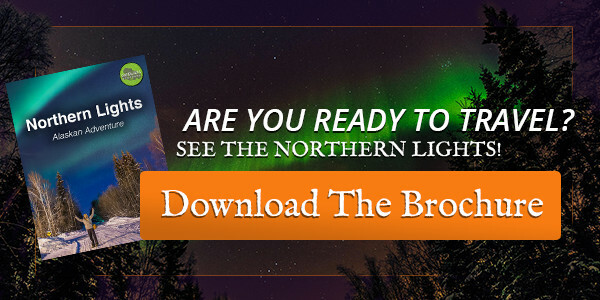 However, there are some factors that help guide visitors to find the best time to see the northern lights. Seasons change a little differently in Alaska compared to the lower 48 states. Being so far north creates different weather patterns and solar activity that need to be considered. 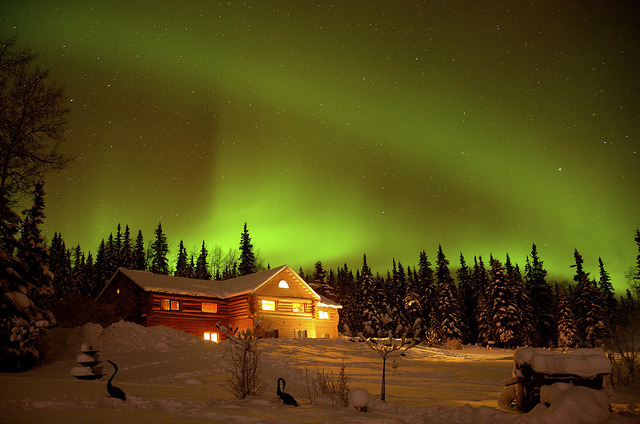 January – March: The beginning of the new year is a popular time to see and take pictures of the northern lights. These long, cold nights create excellent viewing conditions for the aurora, making them likelier to appear. The spring equinox in March is known for brilliant celestial displays as well. April – August: Between April and August, the aurora becomes less visible because of longer daylight hours. Especially because of the midnight sun, it can feel like an endless summer. With this phenomenon lasting from mid May to early August, this is not the best time to visit Alaska for the northern lights. September – December: September and October are ideal months for visitors to see the northern lights. This is a great time to visit Alaska before the real ice and cold of winter settle in, though cloud cover may appear. As an added bonus, the lights may reflect off lake water, creating an illusion of a double aurora. November and December see the first snowfalls of the year, as the seasons change from fall to winter. As the nights become longer and darker, the aurora becomes more brilliant. Clear Skies: As with all things in the sky (think stars, fireworks, even the sun), clouds can obscure visibility. Same goes for the aurora, so observing the sky when it’s clear is the best way to capture the best views and photographs. Solar Activity: Since the northern lights are created by the sun’s solar flares, the northern lights vary based on the sun’s activity. Observing the 11 year sun cycle and equinoxes can help predict when the aurora will be it’s most brilliant. Get Out of Town: Though the aurora can still be seen from cities like Fairbanks, Alaska, glowing city lights can affect the night sky’s visibility. Viewing the northern lights from a secluded place, away from external light will ensure that you see the full vibrancy and colors of the northern lights. Learn more about Gondwana’s Alaskan Ecotour! Gondwana’s Northern Lights Ecotour promises unparalleled views of the northern lights, in addition to several nature and culture focused adventures. We have several trips available between September, 2016 and March, 2017. We plan our trip length and dates based on weather, aurora intensity and the phases of the moon to maximize your odds! The solar cycle is still near its peak and will be waning over the coming years so now is certainly the time to go!